I’m not sure about you, but sometimes I will have the occasional smoothie craving especially when the weather’s really hot. 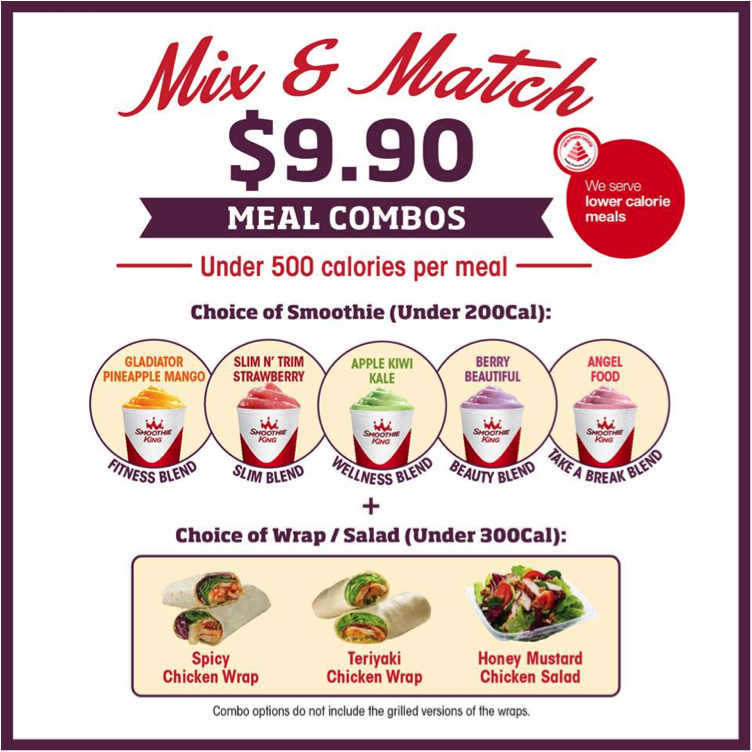 Good news for those like me - here I’ll be introducing Smoothie King’s 500-calorie combo meal offers ($9.90) made with wraps or salad, and fruit/veggie smoothies! 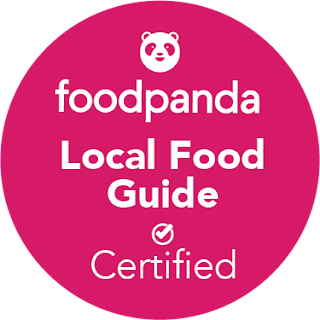 This is in line HPB’s Healthier Dining Programme that has partnered with restaurants/food stalls to offer healthier choices. 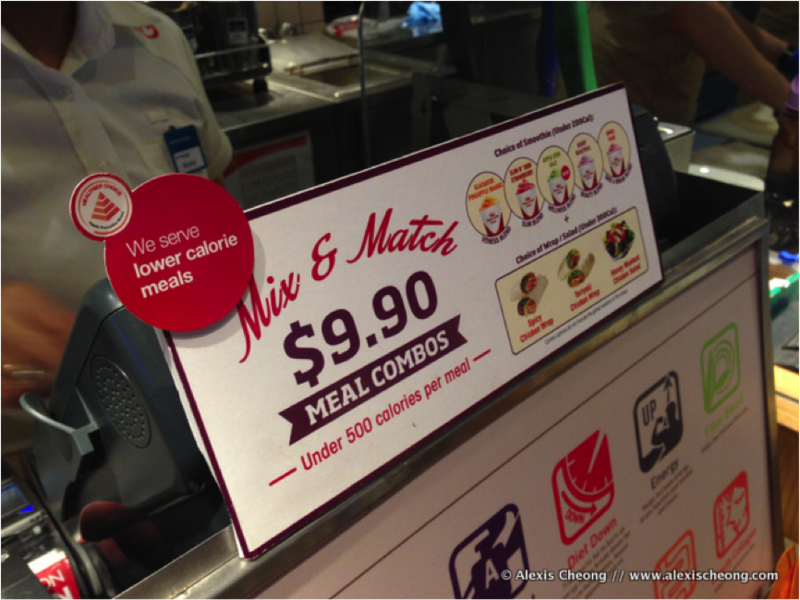 I had the chance to try it out at the 313 Somerset branch for dinner, and it was really a refreshing and healthy change compared to the usual dinner or even lunches of mixed rice, majority of meat, and very little greens/fruits. I ordered the Spicy Chicken wrap, and it was substantial enough to fill me up. The chicken was not marinated or oily on its own, but instead relies on the chili sauce to give it a flavor boost. I enjoyed the crunch in my lettuce as well! 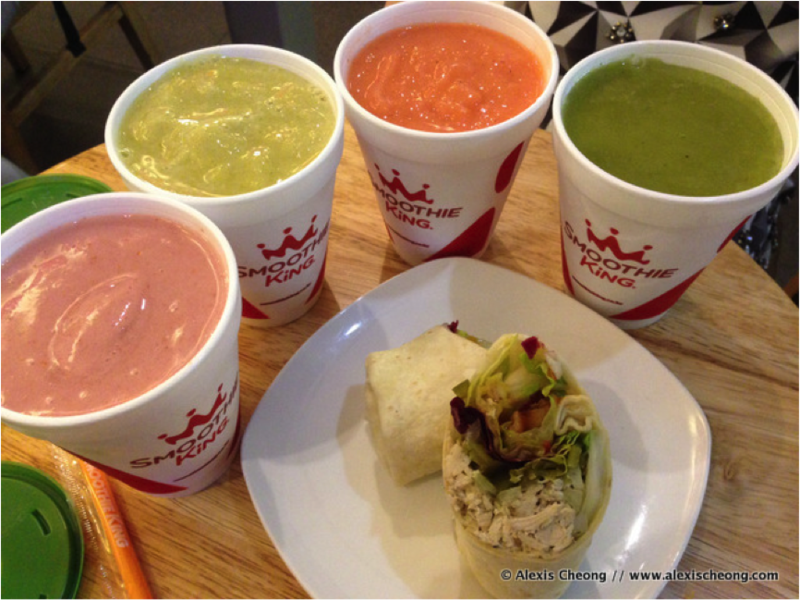 Here is the list of all 9 Smoothie King outlets for you to try their combo meal or veggie blends out.